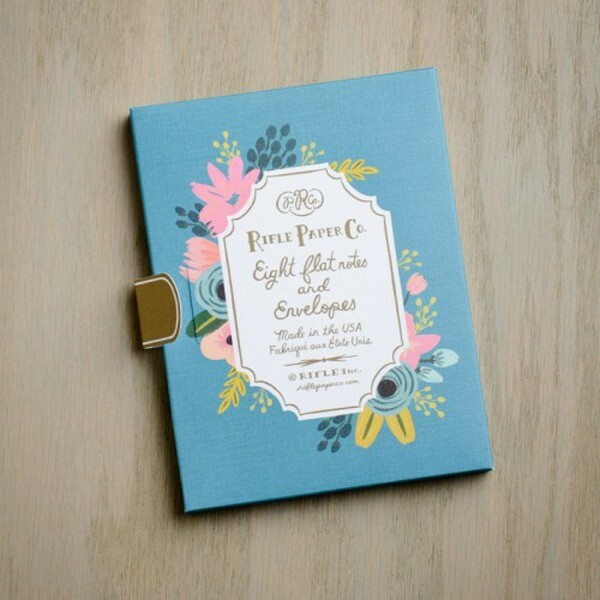 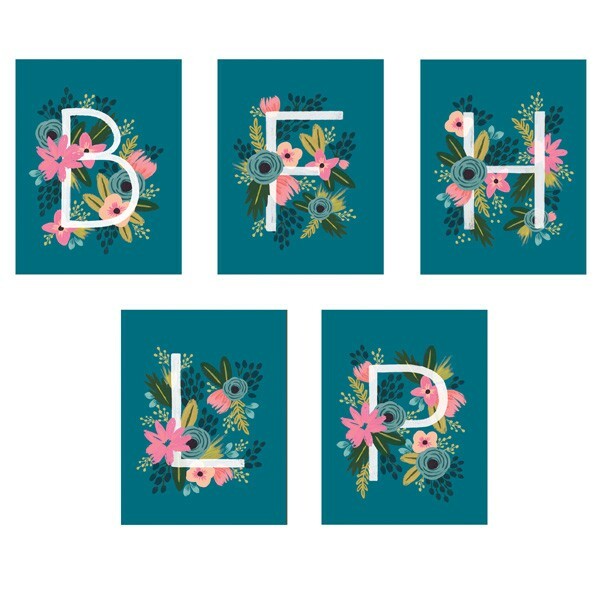 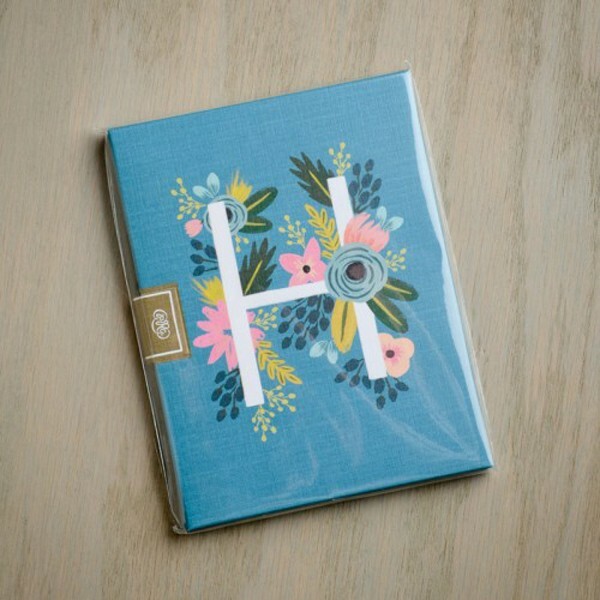 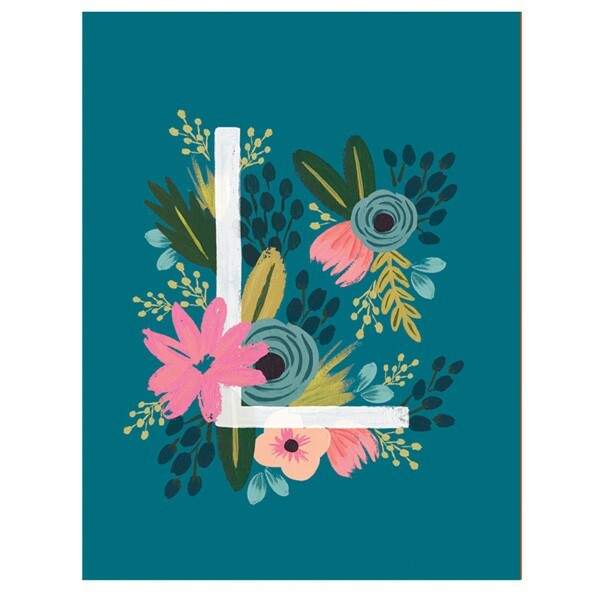 SIZE: 10.8 x 14 cm; Includes eight notecards and envelopes; Packaged in a reusable linen paper box; Linen envelopes have floral pattern and scalloped edge; Each initial comes in one color; Printed in the USA on white cover paper. 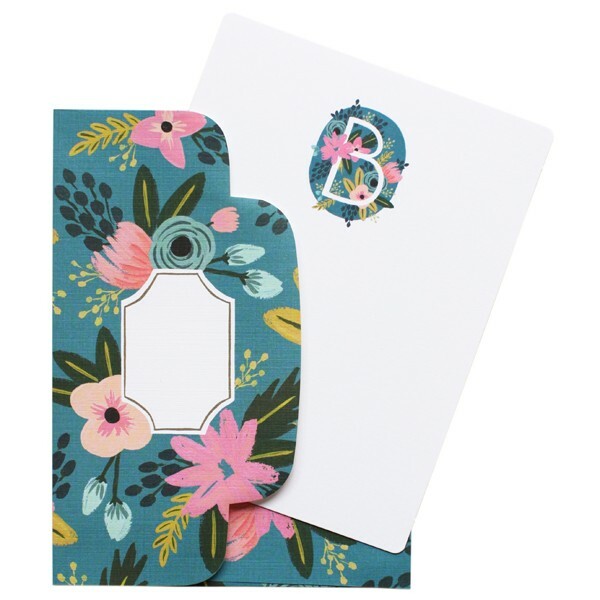 Product Code: RPFMNG-L. Category: Cards. 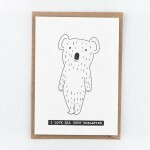 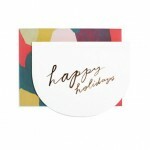 Tags: Rifle Paper Co..